Nov 5 2013- On This Tuesday Chicago famous chef Charlie Trotter passed away . he was died at the age of 54. 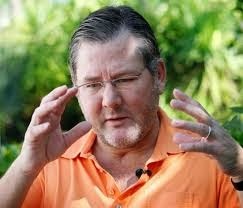 Charlie Trotter was the author of 14 cookbooks. Charlie Trotter was found unconscious by his son Dylan at his home in Chicago, she was taken to Northwestern memorial hospital , but he was pronounced to death later. Charlie Trotter wife Rochelle, said that " we are incredibly shocked and was deeply unhappy by the sudden death of charlie Trotter at our house in Lincoln Park. He was much loved one and their are know words to describe his loss. Charlie was trailblazer and introduced to new techniques of dining when he started Charlie Trotter's. His impact over the American cuisine and the culinary world at large will be remembered . we thank for your kind words,support and love she continued. Charlie Trotter started a small catering when he studied at university of Wisconsin , Madison. After completion of his graduation he decided to gain more experience by travelling around the Europe and U.S. Then after he worked as a chef and caterer before opening his restaurant in 1987. Charlie Trotter's restaurant was one among the top 50 restaurants in restaurant Magazine's all over the world. Charlie was also honored twice with Michelin Stars ans was also selected as the best restaurant in America and best in world by Wine Spectator in 1998 and 2000.